All Aboard! 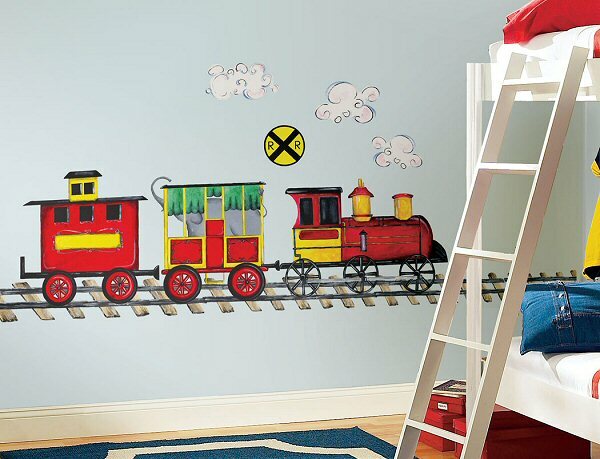 Your child will love being the train conductor in his very own room that has been transformed into an awesome train station with these amazing All Aboard MegaPack wall decals. 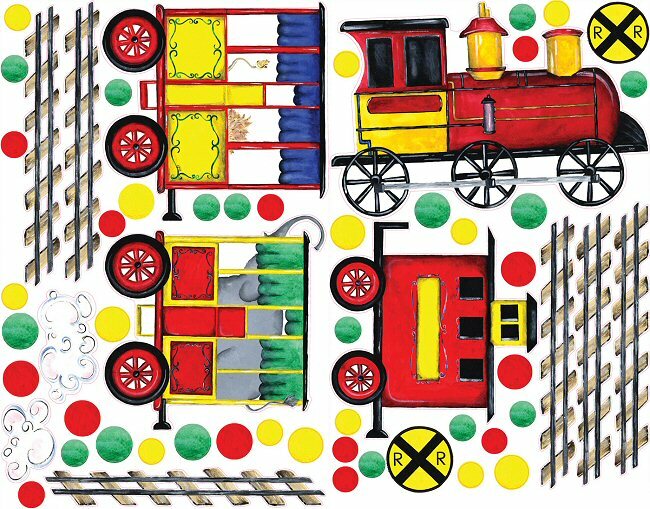 Packed with enough wall stickers to fill a room, including colorful train cars, tracks, smoke puffs, railroad crossing signs, and more, this MegaPack All Aboard peel and stick wall mural kit makes room transformation a breeze. This MegaPack All Aboard peel and stick wall mural kit includes giant wall decals and a ton of small wall decals for a total room makeover! Repositionable, removable, re-usable, and washable, these All Aboard MegaPack wall decals are perfect for transforming a room with ease while leaving no damage or residue on the surface. Engine 25.25" x 16.25"; Elephant Car 16.75" x 17.25"; Lion Car 17.125" x 17.5"; Caboose 17.375" x 16.5"